I have been fascinated with customer demographics for years. The idea that there are large groups of people out there who would want to buy what we are selling was very tempting to consider. Just find the sweet spot in the marketplace and advertise to them…what could go wrong. Well, there isn’t one person on the planet who will match your entire customer demographics profile for one. There is an old saying, “if you are selling to everyone, you are selling to no one”. Especially these days when buyers are exposed to so much media, trying to craft a sales message that will appeal to a single woman in college AND a stay at home mom AND a boomerage kid home again (all could be a 25 year old woman) is impossible. There is not enough sales copy in the world to do that! 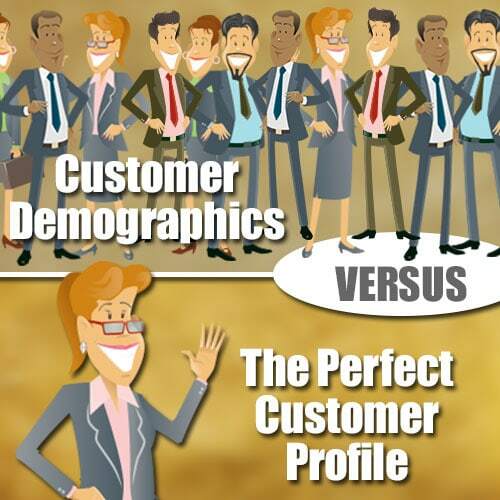 Customer Demographics are the generalized character traits of the people who you sell to and who you would want to become your customers in the future. They are broad and somewhat interesting to know about for certain kinds of marketing. The Perfect Customer Profile is almost the exact opposite of that. 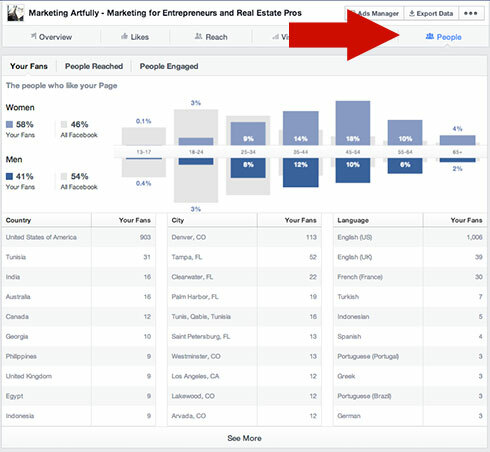 It is picking (developing a profile) for one single person that you will be selling to and developing a sales funnel and copy that centers around that person. All of these categories share some common traits that you can use to target marketing campaigns. Baby Boomers have a world view that is formed by the times that they grew up in. Parent have many different buying habits than young hipsters. 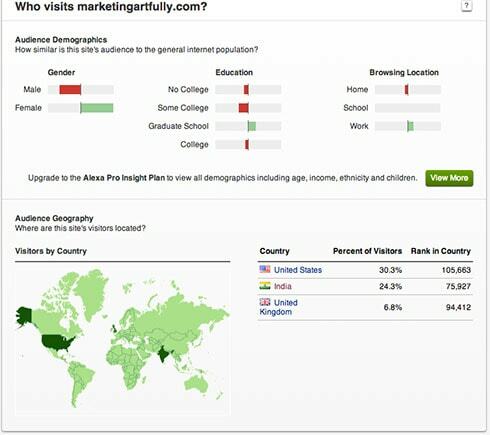 How Can You Find Your Customer Demographics? So how does this help for advertising. For this one, lets just look at geography. Say we were running a Google Adwords ad targeted to a local area. By clicking “see more” I get a longer list of cities that are “Tara friendly”. Using this data, I could set up my “colorado focused” ad to run in Denver, Westminster, Lakewood, Arvada, Boulder, Littleton, Colorado Springs. Centennial, Golden, Longmont, Fort Collins, Aurora, and Broomfield. 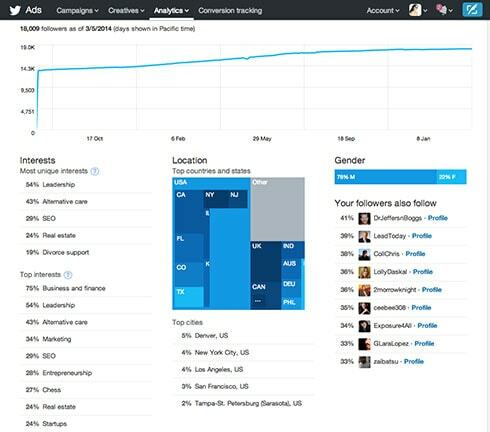 You find your analytics for Twitter in https://ads.twitter.com > analytics > followers. 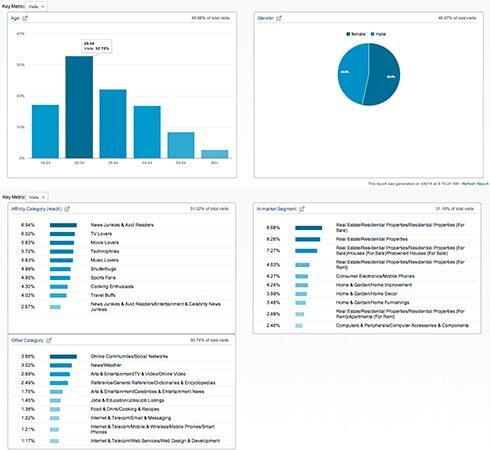 The most unique interests my Twitter peeps have are leadership, alternative care, SEO, real estate, divorce support – I get the SEO and real estate and leadership is hot in business now, but divorce support? that might be our professional services people? I use this data to market on Twitter (I especially like the areas of “your followers also follow”) to target ads to. But also knowing that my audience on Twitter is so weighted heavily male makes how I present my ads very different than if I was marketing to my usual smart women demographic. Once your website gets some traffic, you can usually find a listing for it in Alexa.com. The biggest thing I got from this is that even though EVERYONE in the world tells you to talk down to your readers, writing like they have no higher than a fifth grade education, my peeps are SMART! And by the amount of traffic I get to my website, they are not offended that I write as though they have a brain in their heads! This is interesting because of how high the real estate numbers are. Over 29.04% of my readers are interested in real estate in some fashion. That does not mean they are all Realtors, but it does show a huge bias to that kind of thing. I have known this about my customers for a while, but was frustrated about how to use it to actually sell stuff. We would write sales copy that tried to appeal to a business woman who liked marketing and worked. Come to find out all working ladies do not like marketing, they just know it is a necessary evil. Also, the professional services people like doctors, lawyers and accountants, were not interested when I lumped them into the real estate agents or the marketing people. So, we have spent four years and hundreds of hours figuring out how to write a perfect customer profile! Wah wah! What this is a book and worksheet that we use every time we are launching a new product, be it a book, course, website or any other thing that would need marketing. A woman, so I will name her Mary. Now I am not trying to sell to everyone, I am just trying to figure out how to help “Mary” grow her business and improve her life. Next I will put that Mary is 40, a real estate agent and that her kids are in middle or high school. Old enough that they are not babies anymore and she can focus on her career more. Also, she drive a Lexus, lives in an upper middle class suburb and likes to have lunch with the girls at least once a week and dinner out with her husband every Friday. She is 40-ish so she likes some new music and mostly hits from the 8o’s and 90’s. She loves her kids and admires Oprah Winfrey and Sarah Palin. She thinks the term “soccer mom” is derogatory and is not ready to just be put out to pasture. “who is this for? Top real estate agents who love to hone their craft and who are looking to get a couple nuggets they can use today”. This speaks directly to Mary. She feels like a top agent and CAN use some additional tips to take herself to the next level! Because we spent so much time fleshing out Mary and her life, writing sales copy that would convert her to book buyer was really easy. Here is an additional resource for you to work on your customer avatar! 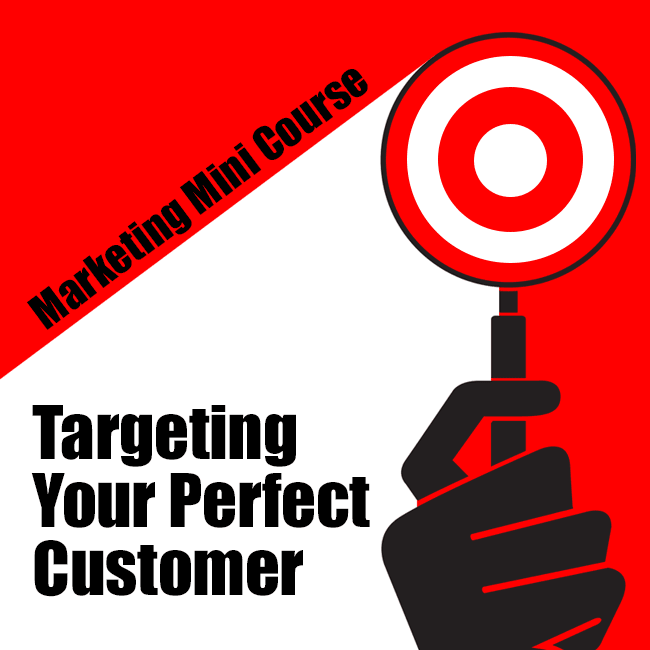 My marketing bestie and I sat down and recorded 6 videos about how to target your perfect customer and create your Customer Avatar. This is probably one of the most impactful things you can do for your business so we made sure that it was affordable for all of our “peeps”! 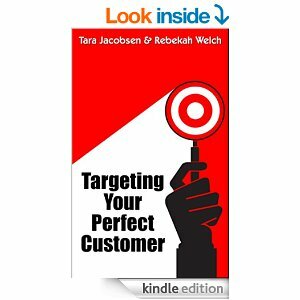 You get ALL of the information that you need to fill your business with customers you love! Not just videos but a worksheet, book and even examples of completed sheets that you can use to help make your “perfect customer”!